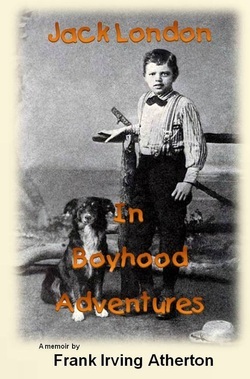 In the 1930s, Frank wrote a book about his boyhood adventures with Jack London and although it was never published, people like Russ Kingman and Jack's daughter, Joan London, did use Frank's manuscript as a resource for their published works. Joan did not want Frank's manuscript to become lost and forgotten, and so, in 1965, she gave a copy of it to the Oakland Public Library to be part of the Jack London collection. On the back of the book is a picture of Jack as an adult that has not previously been published. Inside is a picture of Frank. Available now. Amazon. Barnes and Noble.